Kara did a great job creating her pipe from a bar of soap! The 4th grade classes are learning about the rituals and beliefs of our Lakota Culture. Within this unit is the center of who we are as a people. The cannupa or pipe is a part of many ceremonies and everyday life. The pipe can be used for special ceremonies and for prayer when it is needed. The class embraces the hands-on time of learning about the parts of a real pipe as well as singing the song that accompanies the filling of a pipe. We do not smoke the actual pipe because this is something that is for special use and I believe that many of our children should have this experience with their families. The students did such a good job carving! We cannot travel out of state for class trips, so we learn about how pipestone is harvested and shaped into a sacred, beautiful object which holds deep meaning. The students are told the story of the Pte San Win, the White Buffalo Calf Woman, who brought the pipe to our people centuries ago. The pipestone quarry in Pipestone, Minnesota holds historical meaning to the creation stories of our people as well. It is believed that the area where the quarry is today is the place where the last of our people drowned in the great flood. Their blood is the red-colored rock that we use for pipe-making today. 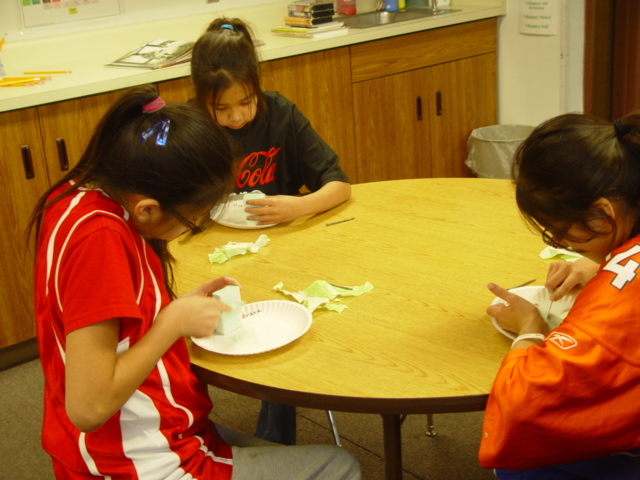 The Native American students are then able to do a little creating of their own. I demonstrate how to carve a piece of soft soap into what might be the bowl of a pipe. As you can see from the pictures, they are proud of their creations. 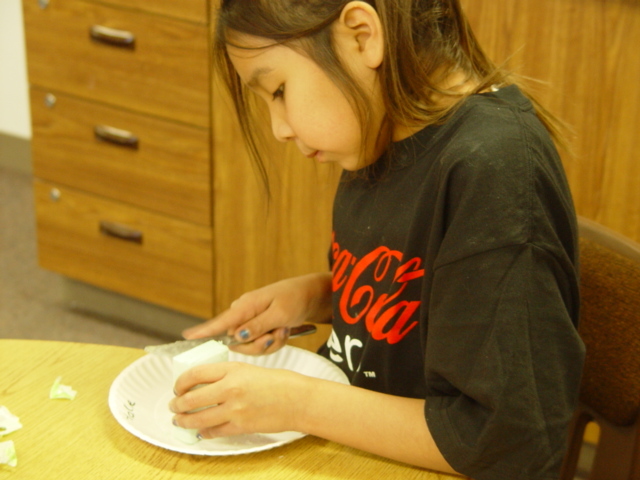 This unit of learning ties their American Indian culture to their hands, hearts and minds.